In this Collectors Interview we share the touching story of Dutch pop-up book collector Anneke Eggink-Pelsma and her husband Jan Eggink. Anneke is a proud collector and huge fan of pop-ups. In the past Anneke worked with children that have behavioral disorders or dyslexia and as a teacher, Anneke started to use pop-up books to motivate the children to read more and most important, to enjoy reading books. The combination of surprising pop-ups and short pieces of text helped her students to read a full book in a short period of time. Anneke was amazed and discovered how powerful pop-up books can be as an educational tool. This was the start of a beautiful collection and a passion for life. In 2005, Anneke got hit by a stroke and she lost the ability to speak and walk. Suddenly her life was upside down. She wasn’t able to continue her work and it felt like her dreams were shattered. Her husband Jan, who was a great support for her in these rough times, motivated Anneke to continue her passion for pop-ups. Jan was already impressed about how her students reacted to pop-ups and convinced Anneke to collect pop-up books as a hobby. In the years that followed, Anneke learned how to speak and walk again, literally step by step, word by word. During Annekes rehabilitation Anneke and Jan both became pop-up book collectors and enthusiasts. 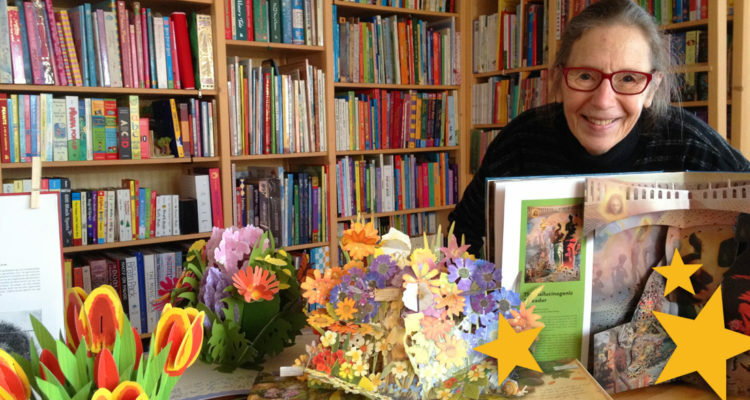 Even though she has stopped with her profession, Anneke still uses pop-up books for educational purposes but this time to teach the Dutch language to young students. BPUB – When did you buy your first pop-up book? 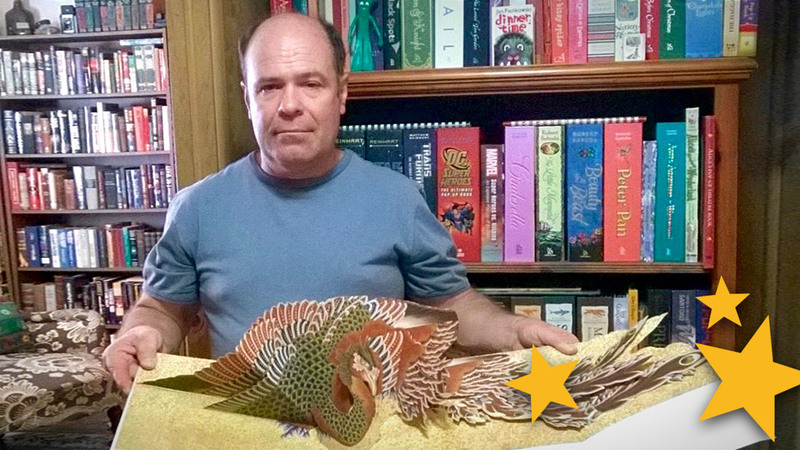 AEP – The first pop-up book I bought was when I was eight years old, now 58 years ago. At that time I just played with it and didn’t know that I would be a collector of pop-up books later on in my life. When I became a teacher for children with dyslexia and other problems, I rediscovered pop-up books. Pop-up books helped the children to enjoy reading and to love books. Of course at first only pop-up books, but later on they also began to appreciate books in general. It didn’t make the dyslexia disappear but it let them handle their problem thanks to pop-up books. That’s why my pop-up collection became bigger and bigger and over time I learned to see the differences between Authors and Paper engineers. AEP – I love the books of Ron van der Meer, Robert Sabuda, David Carter, Kees Moerbeek, Harry Willock, Matthew Reinhart, Bruce Foster, Sam Ita, Courtney Watson McCarthy, Yevgeniya Yeretskaya, Ray Marshall, Anouck Boisrobert and Louis Rigaud, Lucio and Meero Santoro, Chuck Murphy….of course I forget some of them. The most beautiful pop-ups for me are the ones that surprise me, that are colorful and also the pop-ups that you can view from the front and the back. Every season, I have an exhibition at home about Christmas, Easter, Sinterklaas and so on. I display the books in front of a mirror so you can see both the front and the back of the pop-ups. Pop-up books have always been a reason or introduction to start a conversation. BPUB – Do you have favorite books in your collection and can you tell us why? AEP – All my Sabuda books are favorite, also in special: The facts of Life by Jonathan Miller and David Pelham. Paper Blossoms: Butterflies & Birds and Paper Blossoms, both by Ray Marshall. Birdscapes: A Pop-Up Celebration of Bird Songs in Stereo Sound (and that’s really true!) engineerd by Gene Vosough, Renee Jablow and Andy Baron, illustrated by Julia Hargreaves. And of course: The Limited Edition of The Shopping Walhalla “Neiman Marcus”. They celebrated their 100th Anniversary and you can read their story in this really beautiful pop-up book. AEP – I own over 2000 pop-up books and also a lot of smaller books or very simple ones. I didn’t count my pop-up cards, but it’s a lot more than 100. AEP – Animal Babies A to Z and other books by Chuck Murphy. 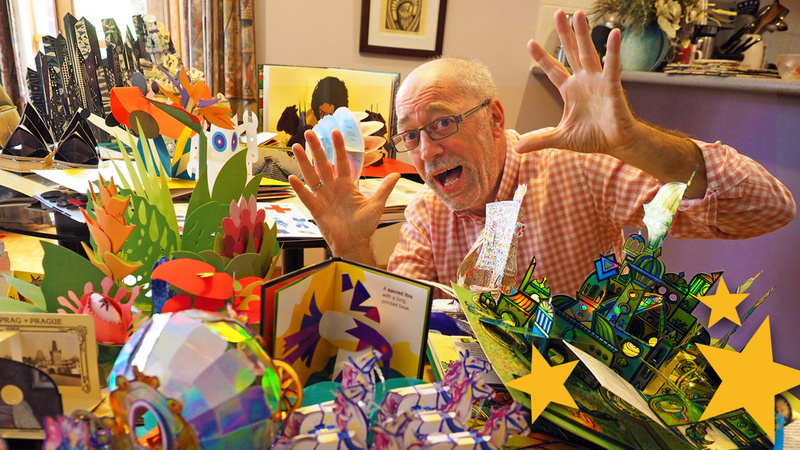 AEP – I miss a beautiful pop-up book about Sinterklaas! (Wiki) The feast of Sinterklaas starts mid November and ends at December 6th. All this time, at home and in school, most children in the Netherlands are very exited about Sinterklaas! Maybe Ron van der Meer, a Dutch Paper Engineer who knows Sinterklaas, can surprise a lot of Dutch children with a pop-up book about Sinterklaas. 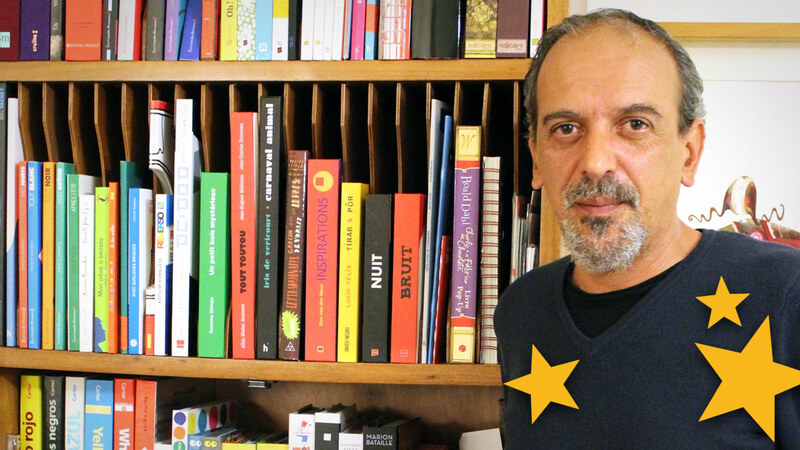 AEP – I would like to organize a very large exhibition with some other collectors, from very old books till now. For example in the Literature Museum in The Hague. And as a collector I would like to help each other. Like when you have double pop-up books in your collection, you can exchange those with other collectors. Maybe using this website. I’m also a long time member of The Movable Book Society and I have contact with Ann, the motor behind the MBS! The Movable Book Society provides a forum for collectors and creators so you can follow the development in the world of pop-ups and movables! BPUB – Thank you Anneke, for sharing your amazing story and wonderful collection with us! Unfortunately, we have to report that Jan Eggink passed away in March this year. Life has become even more challenging for Anneke with the loss of Jan but her collection and love for pop-up books are a great support and consolation. 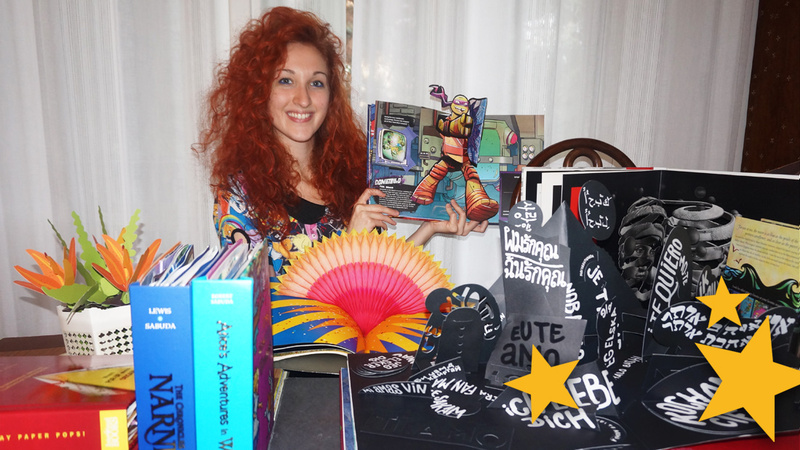 Anneke continues her plans for a pop-up book exhibition and also would like to share more about her passion with other collectors. If you would like to send Anneke your support, wishes or get in touch as a collector, please use our contact form and we’re happy to forward your message to Anneke.